When you attend our clinic for your consultation you will be greeted by a member of our team. You will be asked to fill in some details about yourself thats compliant with GDPR. You will be seen by our Nurse practitioner who will assist you to a comfortable and private room. Our Nurse will then remove all traces of make up from the skin that are visible to allow us better viewing of your skin. The next part of the consultation is the Visia skin analysis. Assists the Nurse during consultations enabling you to visualize the possibilities of your anticipated facial aesthetic procedures. 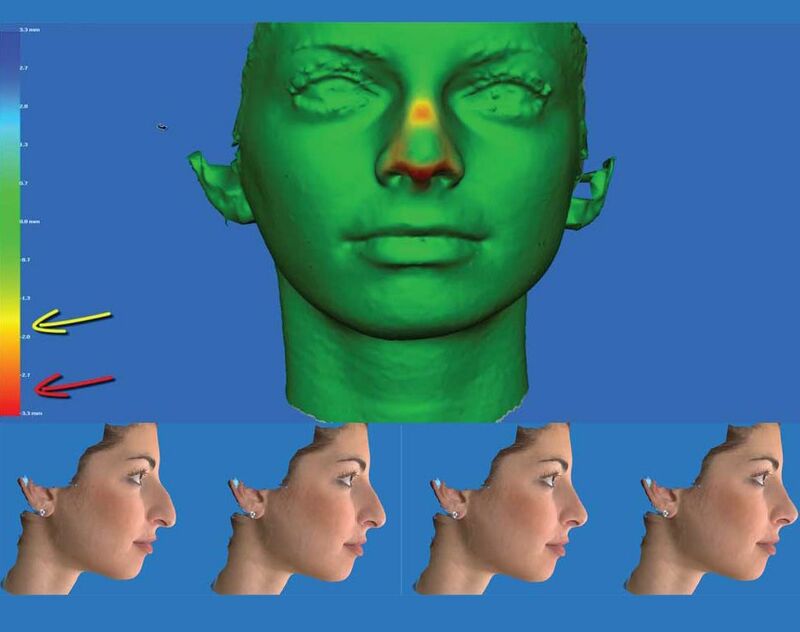 This software module provides tools to assess the your face and enables our Nurse to quickly make realistic surface and three-dimensional changes to the facial features using your own 3D image. The results are then reviewed with you to ensure mutually understood expectations between your nurse and you. The pre-treatment and post-simulated images can also be used as references during treatment. Your consultation will take approx 45-60 min. The cost of your consultation is £20. At the end you will receive print out of your results to take home with you. We will also set you up in order to process your results at home to view anytime. The cost of the consultation is taking at the time of the booking. We accept all major debit and credit cards. Your booking will be confirmed once payment has been made. You will receive a text and email reminder prior to the appointment. If you wish to change or cancel the consultation please allow 24 hours notice. Cancellation fee applies outwit this time of £20.